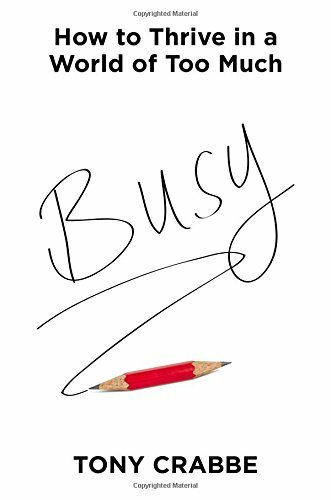 [PDF] Busy: How to Thrive in a World of Too Much | Free eBooks Download - EBOOKEE! Description: Business psychologist Tony Crabbe outlines a unique four-step approach to combating one of the modern life's great problems: being too busy. BUSY is divided into four digestible sections Mastery, Differentiation, Engagement and Momentum that will teach readers how to switch from managing time to managing attention, how to transition toward a career strategy that doesn't hinge on productivity, how to think differently about success by re-engaging with what matters, and how to create the impetus, energy, and clarity to put all these changes into effect. Crabbe draws on entertaining psychological studies to show why we're getting it wrong at the moment and to develop a fresh new approach to taking back one's life from chaotic outside forces. Rarely has a book been more timely in both its scope and in its immediate impact. No comments for "[PDF] Busy: How to Thrive in a World of Too Much".